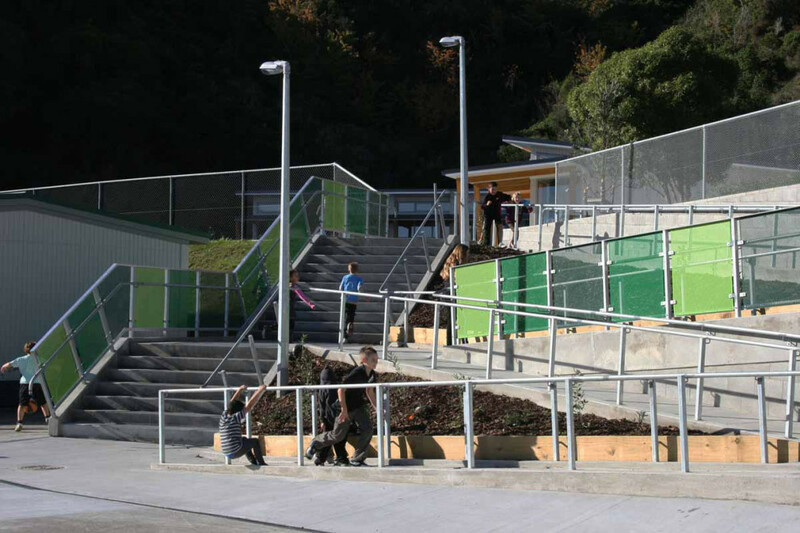 First stage of a two stage process to meet roll growth at Papakowhai school. 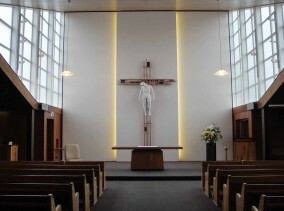 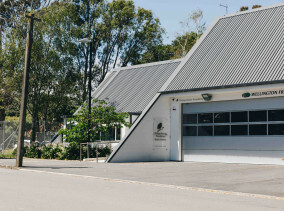 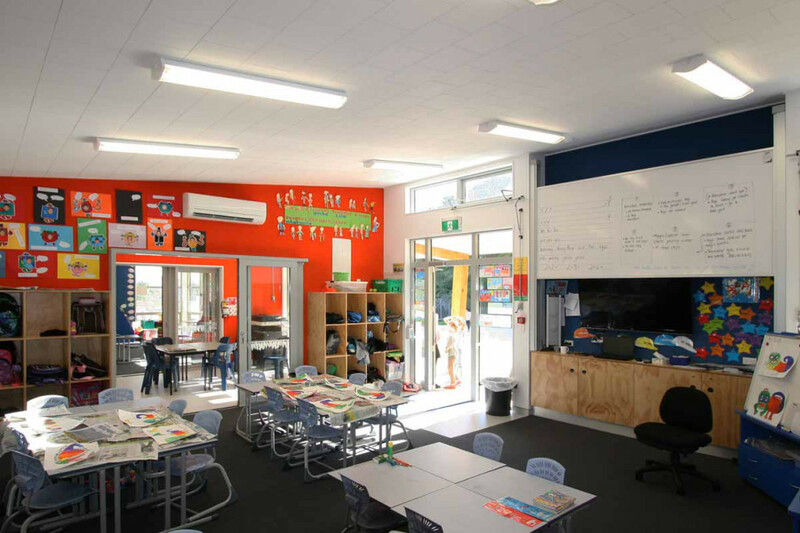 Seven new classrooms required, broken into two stages. 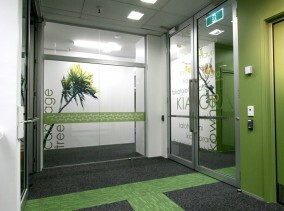 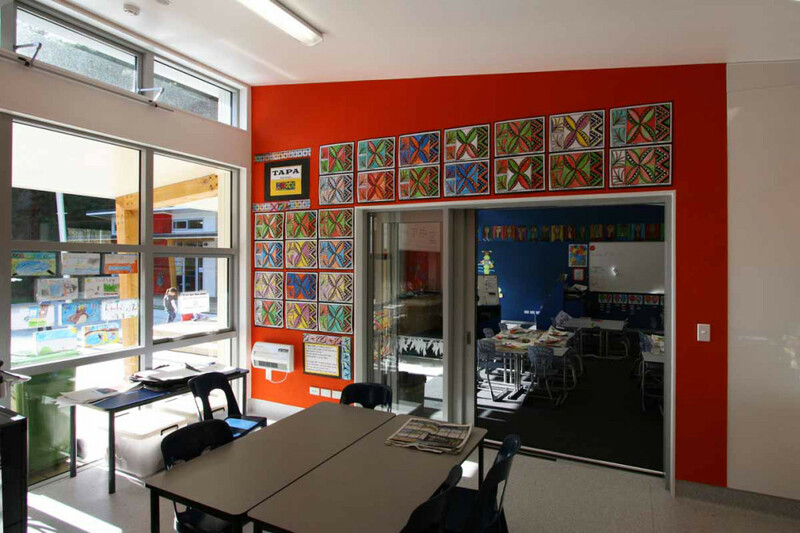 Stage 1 classrooms are located on the upper playing field area. 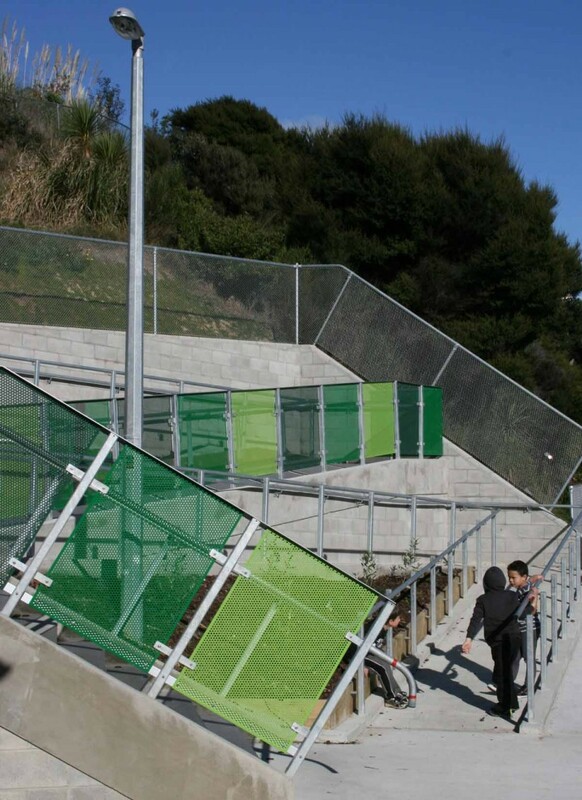 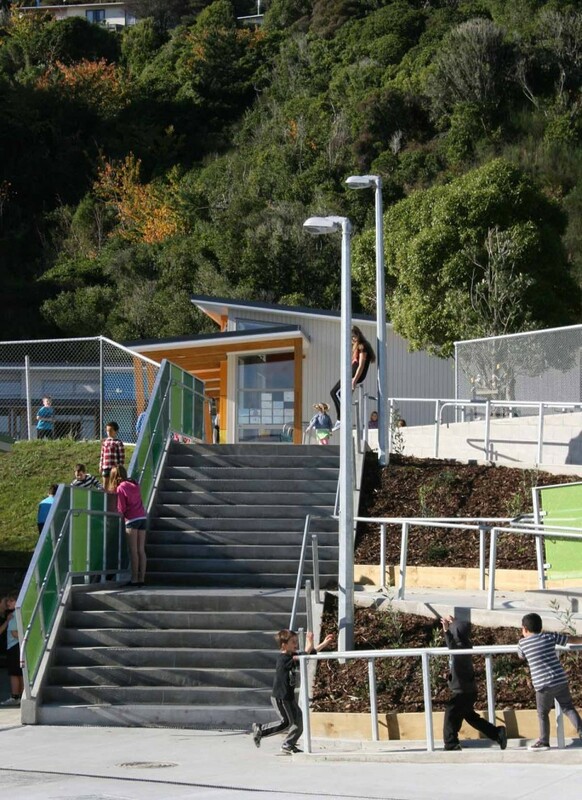 The upper playing field area is accessed from the lower main school level via a new accessible ramp and stair. 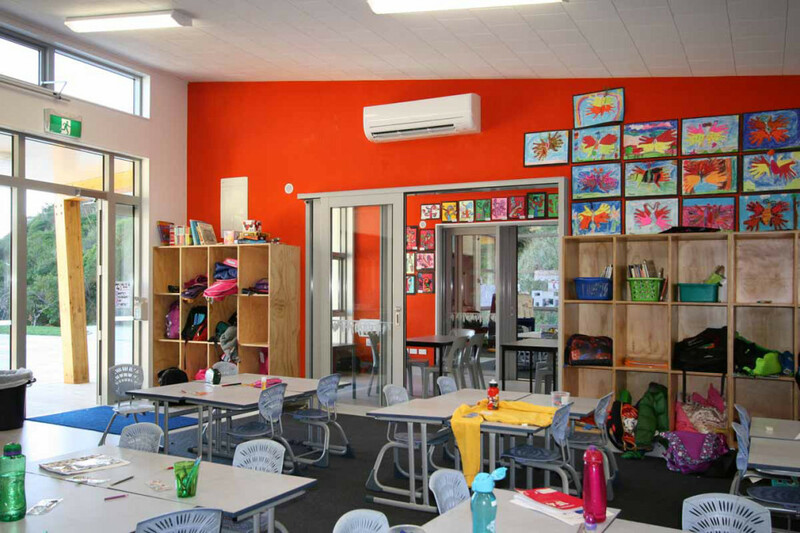 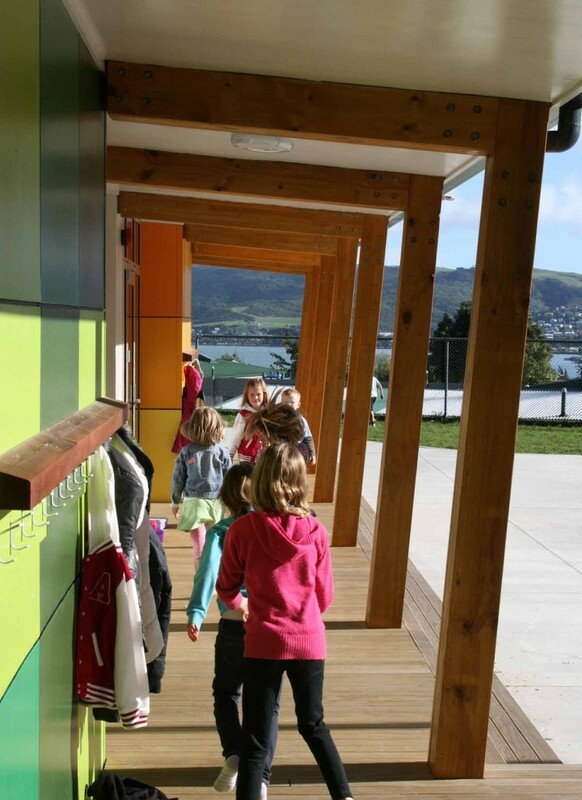 The classrooms themselves are arranged in an ‘L’ shape around a North facing play area. 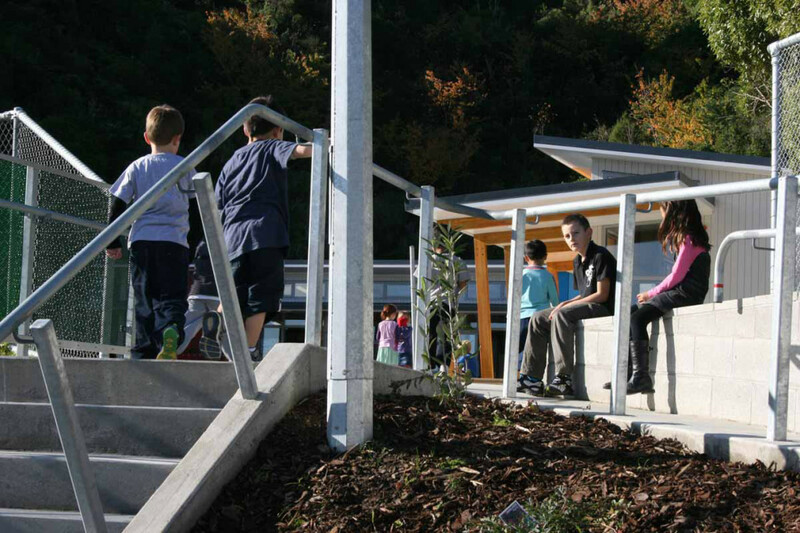 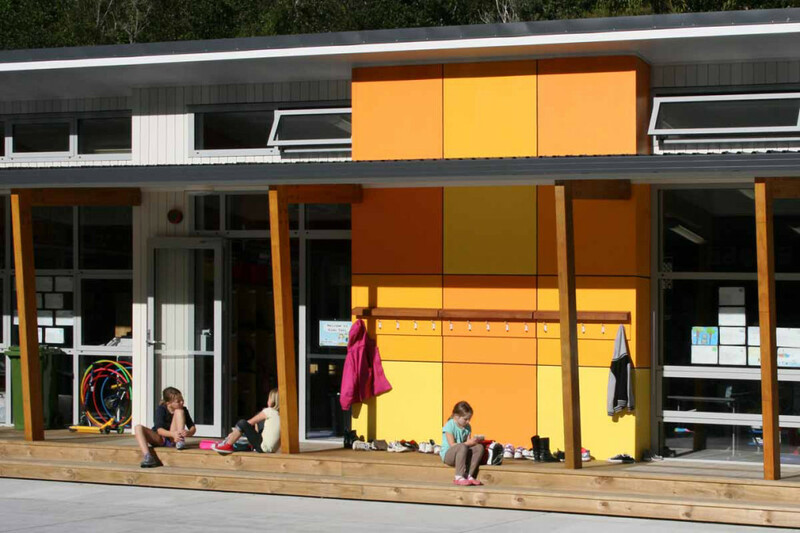 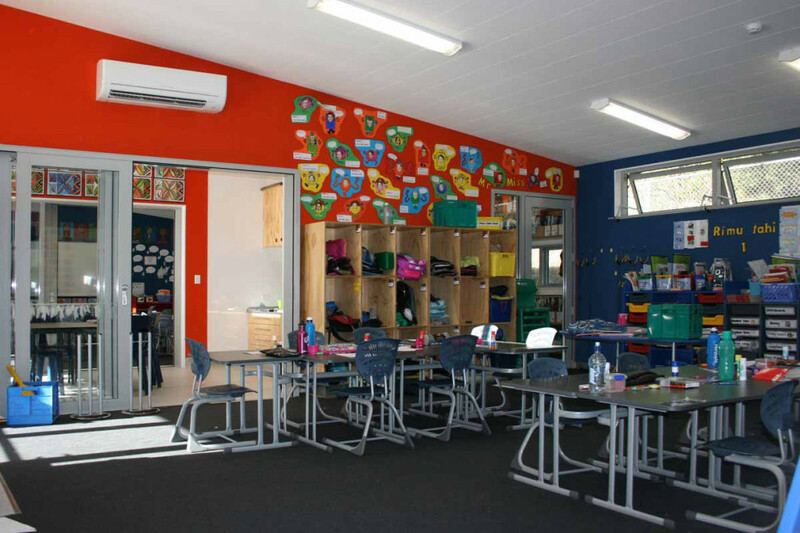 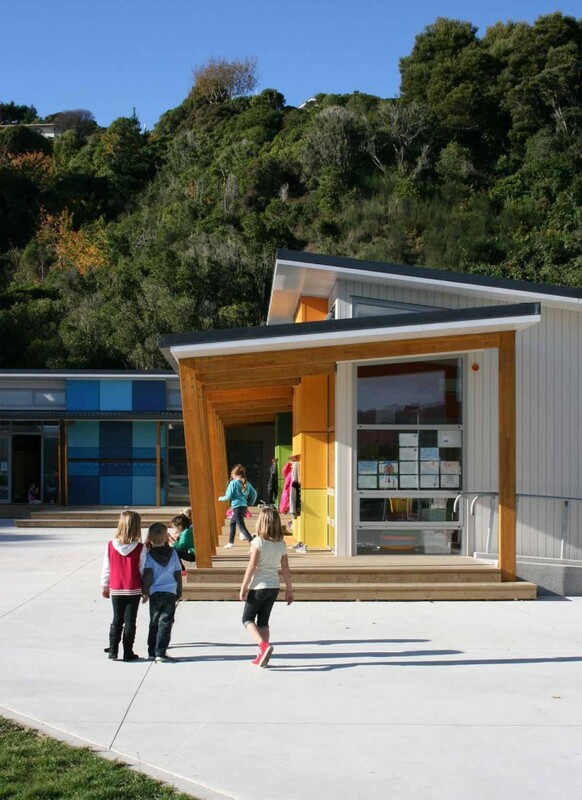 The classrooms are accessed externally by covered timber deck walkways. 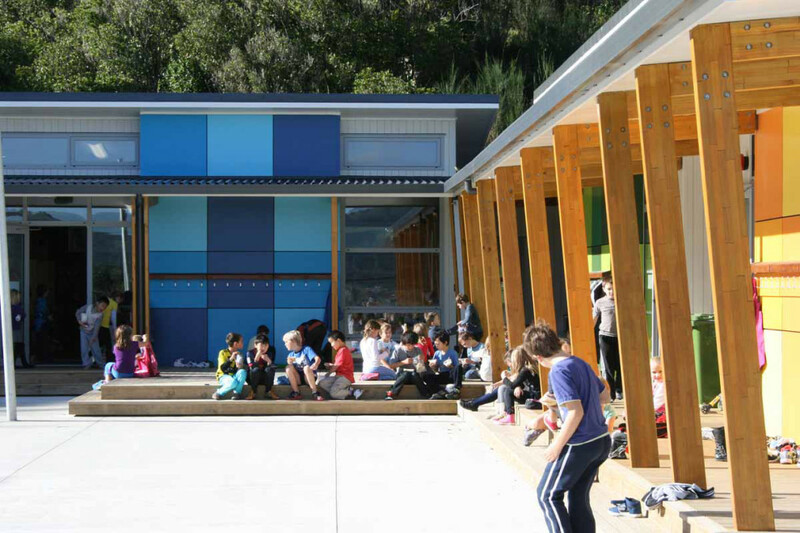 Each ‘arm’ of the ‘L’ shape has two classrooms, with a shared teaching space and wet area in between. 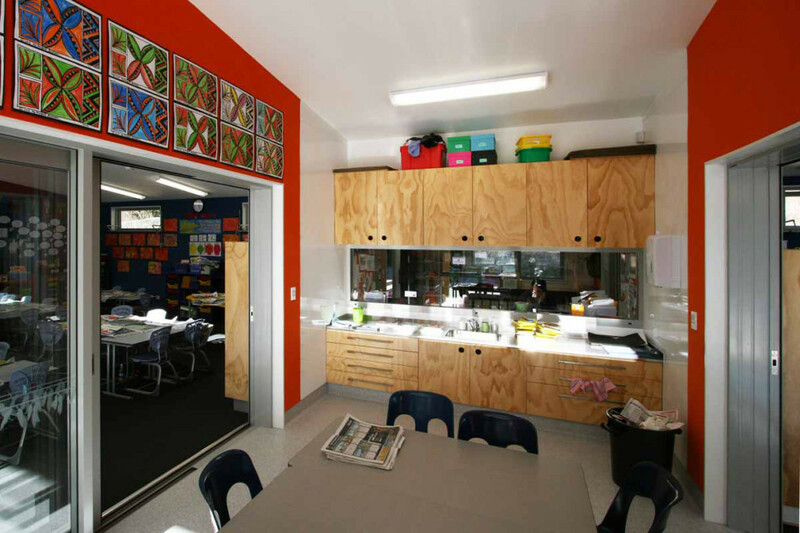 The classrooms are designed to allow maximum sunlight and daylight access and to be naturally ventilated. 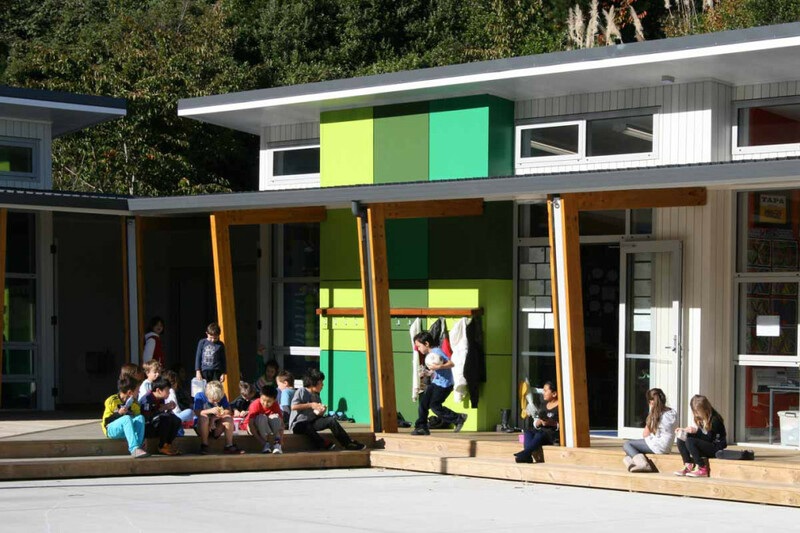 The second stage classrooms will form the ‘missing edge’ to the ‘L’ shape, eventually forming a 3 sided ‘U’ shaped north facing courtyard.